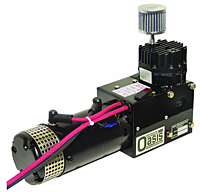 A truck mounted air compressor installed on your service vehicle is like bringing your shop into the field with you. These compressors work directly off of your truck’s engine, and have been shown to be just as efficient as stationary compressors of comparable power. Plus, they are small enough to fit just underneath your hood and all the way under your car, so they are not in the way. Truck mounted compressors also eliminate the need to tow around a bulky portable compressor behind your truck. Whether you need portable compressed air to easily inflate tires or to use air tools, a vehicle mounted air compressor offers you the combination of power and convenience you need when you are away from your workplace or home. Since 1982, A&W Compressor has provided compressed air solutions for companies in Nashville, Knoxville, Maynardville, Johnson City, and across Tennessee. Let our experts advise you on the right truck mounted air compressor and all the necessary accessories – from fittings to hoses and more – for your specific needs. Call or e-mail A&W Compressor today for more information on our portable compressor options for your business.